Overview: Selectel Wireless (877-218-5744) is a former PagePlus master dealer that launched as a Verizon Mobile Virtual Network Operator (MVNO) in May, 2013. The privately held company doesn't disclose subscriber numbers which I estimate to be around 10,000. Selectel's parent company is a landline phone company and electric power utility operating in parts of Connecticut, Illinois, New Jersey, Ohio, Oregon, Pennsylvania, New York, Massachusetts, Washington and New Jersey. Technology: CDMA on the 850 and 1900 Mhz bands with 1xRTT and EV-DO data support. Verizon's 4G LTE network is available to Selectel subscribers on specific plans. LTE Available, LTE Devices Allowed? 2 The $10 Flex Card can be used to add additional data, minutes or texts to any plan except the $20 plan at the rate of 5¢ per minute, message or MB of data. It's not a standalone plan and must be used together with a monthly or yearly plan. The Flex Card balance never expires. 3 The Home Connect plan is intended for fixed wireless home phone devices but also works with non-LTE mobile phones. A Flex card can be used to add texts, data or extra minutes. Taxes and Fees: Selectel doesn't charge any taxes or fees on airtime purchases. However, airtime is subject to sales tax and/or an e911 fee in many states, although you can often avoid paying it for purchasing airtime from an out of state online retailer. International Rates: Unlimited calls and texts to Mexico and Canada can be added to plans priced at $20 or higher. An LTE phone is required. Domestic Roaming: Selectel provides no extra charge SMS roaming on Verizon's roaming partners (aka the Verizon Extended Network). Unlimited voice roaming can be added to plans priced at $20 or higher. An LTE phone is required.. Without the add-on voice roaming is available at 25¢ per minute (funded from a Flex Card) on all plans. Coverage: Selectel's coverage is identical to Verizon Prepaid (map). Devices: Selectel and Selectel authorized dealers sell officially supported Selectel feature phones and Android phones. Selectel service will also work with any clean-ESN, Verizon phone except for ones sold for use on Verizon prepaid. How to Activate: A Selectel SIM card is required for LTE phones. 3G phones don't use or require Selectel SIMs. Activate by calling 877-218-5744. You can port in a number from another carrier during activation. Selectel charges a $15 activation fee for phones from Selectel. Bring Your Own Phone (BYOP) activation is $30. Some online Selectel dealers currently offer free activation including Bat Mobile Wireless and Freedom Wireless. All phones - turn the phone off and back on. Make a successful outgoing call. Payment Options: PIN codes or cards are available on the Selectel Website and from authorized Selectel dealers (find a dealer). Automatic Refills: Automatic refills are available from Selectel and online dealer Bat Mobile Wireless. If you setup an account on the Selectel website, you can view your cash balance, expiration date and a log of your last few calls online. If you text to BAL to [email protected] from your Selectel phone you will get a reply listing the number of minutes, texts and MB of data you have used, along with your plan expiration data and Flex Card balance. Phone support: 877-218-5744. Support is US based. Online Chat support: Chat support is available on the Selectel Website. Selectel Pros: Verizon coverage with no extra cost text roaming, BYOD. Wide range of competitively priced monthly plans. Support for call waiting, call forwarding and 3-way calling. US based customer support. Updated 5/24/18: New $5 roaming and Mexico, Canada add-on..
Has Selectel Customer Service over the telephone returned to the United States? The last I knew it was through a thrid-party vendor who answered the calls in the Philippines. The chat function is adminstered by a thrid-party vendor, some of the agents are located in Florida, while others are based in Nebraska. I believe the Nebraska chat agents are Selectel employees. 7,000 customers up to this point? I have a different number, but maybe a bunch (thousands) fell off in January 2014. At least, from your 7,000 customer number (lines in service), Selectel has exceeded the 5,000 active lines of service as required by Verizon to remain an MVNO. If you or someone you needs the larger footprint of Verizon Wireless, and no cost voice roaming, Selectel is a great option. Something Dennis did not point out in this Operator Profile, Selectel Wireless is a United States-based and United States-owned and operated company. This is good to know when you are deciding which Verizon MVNO to choose from. Other Verizon MVNO's such as Straight Talk, Net 10, Telcel, and Page Plus are NOT American-owned pre-paid cellular phone companies. They are all wholly-subsidiaries of America Movil, which in turn is a foreign owned and operated company, based in Mexico City, Mexico. If you are looking to do business with an American-owned and operated Verizon MVNO, Selectel Wireless would be a good choice. I have been a Selectel dealer since July 2013, and have never known them their customer support, at least for dealers, to be overseas unlike with other MVNO's I have dealt with. 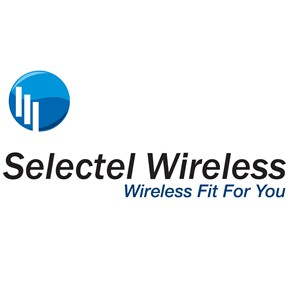 To date, I have been very pleased with the support and service from Selectel Wireless. If you are a dealer I would highly recommend you give them a try. I don't think so. Selectel CS told me there is no international roaming. If you have roamed in either country on Selectel what did it cost? On Verizon postpaid Mexico roaming in 99¢/minute. Guatemala is $1.99/minute. If they have 7000 users, Page plus has nothing go fear from them as they outnumber Selectel about 200 to 1 . However, there is a need for good NON Page Plus Verizon based mvnos and this might be one of them. As an employee of Selectel Wireless I can confirm we have more than 7,000 customers. Selectel Wireless has 8 corporate stores in Nebraska, 1 store in Florida and more than 500 dealers offering our service nationwide. We are an American owned and operated nationwide Wireless provider so if you want great service and great coverage from an American owned company which is creating jobs everyday for here in the U.S. give us a look. I have personally experience talking to my mother whom has Selectel while she was in Mexico on vacation. Selectel absolutely works in Mexico without having to pay more. I was in Cabo a few weeks ago and Selectel worked just like if I was in the US which upset my wife because she said I was not supposed to be working. There was no roaming charges. I have had these guys since last June and our bills dropped from $280 a month down to $90 a month. The wife is already planning our next vacation with all the money we are saving. "Balances are debited in full minute increments and in full megabyte increments, per service." Page plus rounds up to KB, where selectel rounds up to MB. Can someone from selectel clarify why they do this. In spite of what the terms say I don't believe that Selectel actually rounds each data session to the next MB. Also, at least on pay as you go and data overages on monthly plans PagePlus rounds each data session to the next penny not the next KB. So if the 5¢/MB overage rate is in effect, the minimum charge per data session is 1¢ which is equivalent to 205 KB. I suspect but can't prove that Selectel and PagePlus both rely on Verizon to calculate data usage for them and likely have the same penny rounding. My wife's iPhone used 16c over the past week, so I am sure Selectel is not rounding up to the nearest mb! As an employee of Selectel the data is rounded up to the nearest kb. When it reached 1024 it is counted as one MB. My friend is on Selectel at a bus conference in Jamaica and he texted me and he called me and I am on Selectl....sounded great! I asked him if he had to pay extra before he left on his trip and he said nope. Selectel is going to explode.....move over pageplus, net10, and tracphone with your roaming fees and hello Selectel. I am telling all my bus associates, customers, and family about these guys. Selectel is NOT billing me in increments of 1 full MB. If they were, my balance would always be to the nearest 5c. Unless of course, they are not charging 5c/MB as advertised. Through online chat the rep said they round up to the next 0.1 MB but could not explain why their T&C conflicted. Good to know that is not the case anyway. i've been with selectel since last may. no complaints on the service. but i do wish they offered pay-go like page plus, or the very least had the $75 yearly plan minutes/texts rollover to next year if not used, like page plus. Would you still want rollover if they traded it for the extra 150 minutes, 1500 sms, free roaming and $5/year savings they give you compared to PagePlus? Where do you get 150 extra minutes? Both the Selectel $75 plan and a $80 PIN on Page Plus PAYGO give you 200 minutes. Dennis: I got it from the *Footnote on your PagePlus table for PayGo ($80 PIN). 50c/month = $6/year, divided by 4c/minute =150 minutes consumed by their fee. Ah yes, the fee. Makes sense now. I used Freedom Wireless for a free ESN change. Zach took care of this well outside business hours, even though the website says they process ESN changes when they are open. The Selectel system was under maint late on a Sat night, but he followed up Sun morning and took care of it. They were not even open for business. Great service, and I saved the $5 Selectel fee. Excellent alternative to Page Plus which has gone the way of America Movil and has started to charge taxes and fees for renewing airtime on their website. Selectel Wireless will start offering 4G on June 1st, 2015! I am considering Selectel. Any update on how their 4G LTE port in process is going? I heard they were having issues with ports from Page Plus. As far as I know, all the issues with LTE activations and ports at Selectel have been resolved. Last week I tried porting to Selectel from page plus with my Verizon Iphone 6. After being notified that the port went through, My phone kept going back and forth from "no service" to "LTE". I could make calls and text but there was not data access. I kept getting regular notifications that my phone was not successfully activated. I called customer service and went through the troubleshooting needed but they couldn't figure out why it was acting like that. They told me they checked with Verizon and they said the port was ok and the data package assigned ok. I followed all the troubleshooting but still no internet and my phone kept sending me prompts that activation had failed and to contact my carrier. Selectel finally told me that it could be a damaged SIM. The dealer who sold me the SIM said that if the SIM were damaged, nothing would work at all. Since I needed internet for work, I had to port out to another provider but I really wanted Selectel to work for me. I just don't want to give my hard earned money to America Movil which owns Page Plus and many others. I wanted to do business with an American owned company. Has this ever happened to anybody? By the way none of this issues ever happened to me with Page Plus or even with my new carrier. Does it sound like a SIM problem? I have been on Select Tel for almost a year now and it has been flawless. The $75 yearly plan fits me perfectly. The dealer had some issues with the port-over from PP, but when he handed me the phone all was well. So far I have used $1.82 worth of data! I am well pleased! What's the tangible, real world difference between the Selectel LTE data speed of 5 mbps and the Verizon pre-paid LTE data speed of 12 mbps? Will I notice much difference when loading web pages or is it pretty insignificant? Thanks. Please note that Selectel activations at the website or by calling customer service are free. If you use a local dealer (not online) that's when they charge you. I just verified that with customer service a few minutes ago. If you buy your pins on their website or some of the online dealers, you can avoid paying taxes unless you live in the state they are located. I have been looking at this company for a while for Verizon service and they are some of the best out there, not just with coverage but also with customer care. What a difference from what I had seen up to this point. We switched from Puppy to Selectel. VERY pleased with the whole transaction. U.S. customer service took care of everything very efficiently, and the service is working flawlessly. Will be moving our last line from Puppy to Selectel very soon. Well of course. Selectel is one of the best MVNO's in the county. I've never used puppy but the lady that used to manage it was very annoying and condescending. You will be very happy with Selectel. They rule! I switched from Pageplus (through Kitty Wireless) to Selectel about 1 1/2 years ago, and was very pleased with the change. Selectel had much better customer service base in the US, and I didn't have to deal with the annoying Kitty. A big benefit to me in my location was the free roaming. I've since changed to Verizon when they introduced their postpaid 5 Gb for $55 plan. Selectel needs to improve their plans to compete with the Verizon plans, and their website is very amateurish. Otherwise, I liked the service and had no complaints when I used it. Check out boom! Mobile (boom.us) Verizon (V) plans. Selectel is moving customers to the Verizon prepaid network in batches - roaming will cost 25c a minute. They told dealers they will improve some plans after the change. Selectel is on the way out. Losing customers in droves since they switched over to the prepaid side of Verizon. It was the ONE big advantage over all the other Verizon MVNOs. Too bad. Selected is not going anywhere. They take care of their dealers and are a well-run company. Go buy a Tracfone brand's service, since you can't appreciate an honest company with very good customer service.